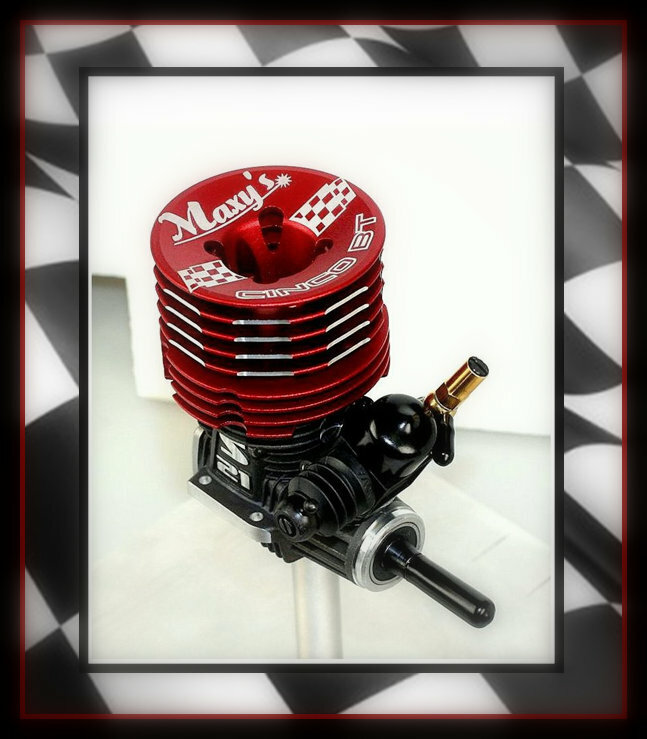 Maxy's Fuel presents the new engine Maxy's Cinco BT. It has been modified to meet the expectations of the OFF ROAD BUGGY; TRUGGY and GT Pilots... More details and specifications COMING SOON!!! You Max Anioris from santo domingo I just was speaking about it with Ernesto a couple of hours back, I'm very interested on it let's hope they arrive soon. Will call you tomorrow with Ernesto for more details he is flying over tomorrow cause AA change the flight. Te llamo manana un abrazo!!! Btt is 4 port this engine is 5 port, spec commin soon. Hello Anioris, Engine receive very soon, I let you know our call me. P5 p/s in a btt case? Love the red anno. Looks like a S21 case Dan. P5 uses S21. I used to run Maxy's fuel before i go out. it was at action rc for the nats. 2003 when he helped me and other guy. next thing i know we were on a fuel sponsor. Just want to say thank you Maxy. I think big Bobby was running it to! Good eye Rob! So possibly a P5 with LCG head....devil will be in the details. I think $278 for the 5P Stock engine.. like the one on the video below..
Last edited by D8; 09-27-2012 at 03:02 PM. Last edited by D8; 09-27-2012 at 08:40 AM.